By 2018, mobile video ad spend is projected to exceed $6 billion in revenue—representing nearly 50 percent of all online video ad spend—according to a study by eMarketer. Thanks to advancements in both technology (i.e., the variety and capabilities of mobile devices) and infrastructure (i.e., the area of our planet increasingly served by broadband and/or 4G service), getting content on-the-go is becoming a seamless and preferred experience by more and more people. From mobile-optimized websites, or browsers, to native mobile applications, or apps, the quality, variety, and size of available video inventory is growing and that means that advertisers will have more options moving forward with respect to placing their video-based content. The mobile video ad landscape continues to head toward standardization with respect to terminology and functionality but it remains a marketing channel very much in the early stages of development. On that note, the following section provides an overview of the most common types of mobile video ads, grouped into either “display” mobile video ads or “in-stream” mobile video ads. In-banner mobile video ad—a commonplace horizontal ad that normally runs across the top or bottom of the screen. In-page mobile video ad—another term for a banner ad that is shown on a webpage in your mobile web browser. Rich media—a banner ad with video. Video interstitial—an advertising video clip that is normally inserted into the middle of a multimedia messaging service (MMS) message; the video plays as the user views the entire MMS message. Incentivized video—this type of display ad invites the user to opt-in, watch a video, and earn a reward. In-feed video—this type of ad appears in the middle of the content stream as the user scrolls through, for instance, a news site or social network. Digital video in-stream ads are served into and executed within a player. In other words, the viewer is shown an ad in the context of the stream in an environment where he or she purposely chose specific video or in-app streaming content. Pre-roll—a video ad unit, on average between ten to fifteen seconds in length, that plays within the flow of content and prior to the user’s selected video content. 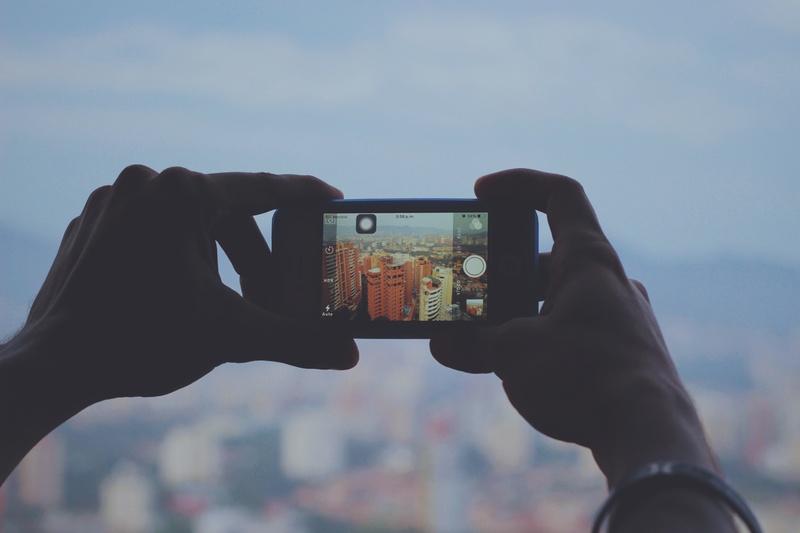 Examples of content that follow a mobile pre-roll ad include videos, games, music or news. Mid-roll—this type of linear video ad has a higher completion rate than either pre- or post-roll ads. Viewers have already watched some of the video content; if they make it to a mid-roll ad, it means they have remained engaged through roughly half of the video. Mid-roll ads also fit the general schedule that viewers are accustomed to on TV—people watch television shows that are interrupted at intervals by advertisements. Post-roll—this type of linear video ad is effective if used as a call-to-action that follows branded-content video, according to Cox Media Group. These types of ads are semi-transparent overlay ads that normally appear on the bottom edge of a mobile screen; they run simultaneously along with the chosen content. These ads are served along with linear or nonlinear ads in the form of text, static image display ads, rich media, or skins that wrap around the video experience, according to the IAB. These ads come in a number of sizes and shapes and typically run alongside, or surrounding, the video player. The primary purpose of the companion ad is to offer sustained visibility of the sponsor throughout the streaming video experience. Digital video companion ads are always served with a master ad, which is either the linear or nonlinear video ad. According to a study released by Undertone and Ipsos, mobile screens are just as effective as larger screens in capturing peoples’ attention providing that the video content is compelling. In addition, mobile affords advertisers the ability to reach specific users at specific locations like no other medium can, according to AerServ. Using device ID, coordinates and/or location data, demographic data, browsing behavior and more, advertisers can serve their messaging to an extremely granular level to hone in on the most qualified audiences and boost efficiency and overall results. Without accurate “viewability” measurement, it is currently difficult to prove the success of mobile video ad campaigns. For instance, if a person is scrolling on the mobile Web, and scrolls past a video ad playing onscreen, did that person actually ‘view’ the video, and should the brand pay for that impression? The definition of viewability becomes murky and contested—how much of the video ad should be visible? And for how long? These questions and others must be answered to prove the ROI to the advertiser. More sophisticated, video-specific pricing models will make it easier for advertisers to more accurately calculate their ROI, according to TechCrunch. Cost-per-thousand views (or CPMV) will enable brands to pay only if their video ad was actually viewed by a user. Cost-per-completed view (CPCV) further minimizes the risk for advertisers by only requiring them to pay for ads that are either viewed in their entirety or after a certain time period. From a technical standpoint, marketers can typically achieve the same creative video executions across in-app and browser ads, according to the Interactive Advertising Bureau (IAB). However, there are benefits to placing video ads in-app. For starters, the user has taken the time to proactively download the app and is likely engaged with the app’s content. And close to 90 percent of time spent by individuals on mobile devices is done so in-app versus on the mobile Web, according to The Nielsen Company. Also, relatively new to the ad scene are “skippable” ads. Somewhat counterintuitively, skippable ads are proving beneficial to both advertisers and viewers alike. For example, skippable ads draw the undivided attention of the consumer (i.e., an individual that does not skip a particular ad is likely interested in its content) and ultimately supplies an advertiser with better data on customer preferences along with insights into video ad campaigns and strategies. Finally, keep in mind that the best video advertising is watched by Web users and not perceived as disruptive.